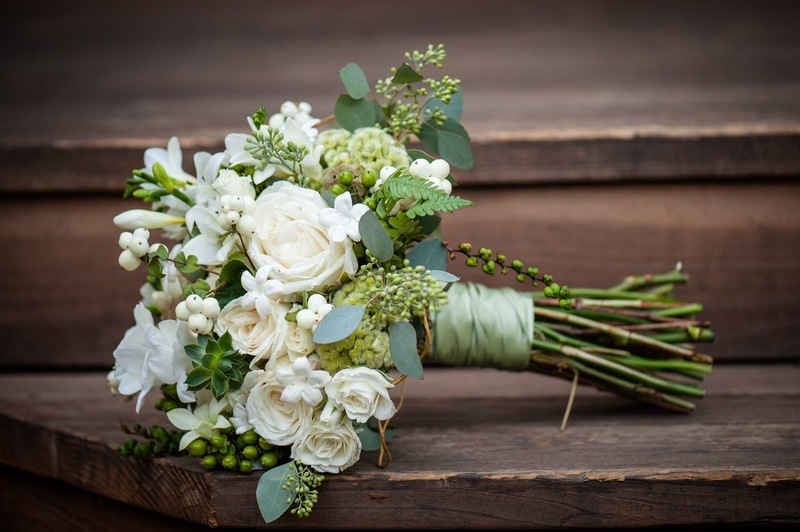 Celebration Florals: Chapel Designers present another Progressive Blog: Bouquets! Chapel Designers present another Progressive Blog: Bouquets! It's time for another progressive blog! One of our favorite things. As many of you know, we belong to an amazing group of designers known as "Chapel Designers". This group consists of 63 designers from around the world. Our connection began with social media, but that was just the beginning! 63 of the nicest, most generous and sharing designers one could imagine. We cherish our connection to these special people every day. Today's progressive post is about bouquets...bridal bouquets...oh, yes! We love every single bouquet we create. Each one is so much more than the flowers that go into it. It is filled with visions and decisions. Colors and textures. Shapes and scents. So much more. How to choose which ones to share..
Our first choice is chosen for the richness of colors and textures...captured so amazingly well by Chrissie McDowell Photography. Who would not be in love with this one? Our second choice is filled with all sorts of wonderful natural elements﻿. This bouquet was designed for a bride who was getting married at the amazing Paradise Springs. This venue is filled with Oregon. From the rich colors of the forest to the warmth of the wooden accents found in the lodge. Fun loving and beautiful describe both this bouquet and this bride! Photographed by Powers Studios. One last beauty to share! This one comes from one of our favorite weddings of this past year. One of our favorite experiences is to provide flowers for clients that we have known since they were little. 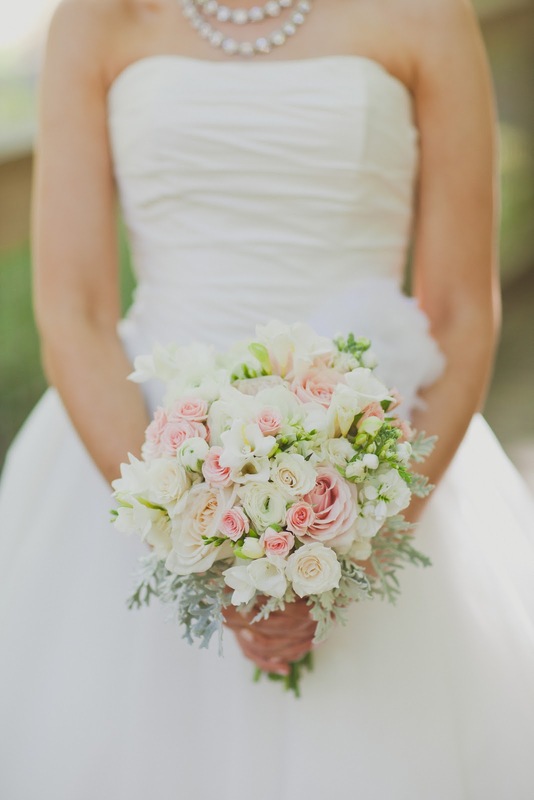 Our final bouquet was soft pastels and compliments our wonderful bride perfectly. Lush, soft, pastels. Wonderfully captured by Lauren Hurt Photography! As we continue, we are happy to share some amazing bouquets from our fellow Chapel Designer, Lisa Sommer from Petals and Promises. Though Lisa lives far from us in Silver Spring Maryland, we are close in our design hearts. When Lisa worried that she was blogless, we were quick to offer to "adopt" her! 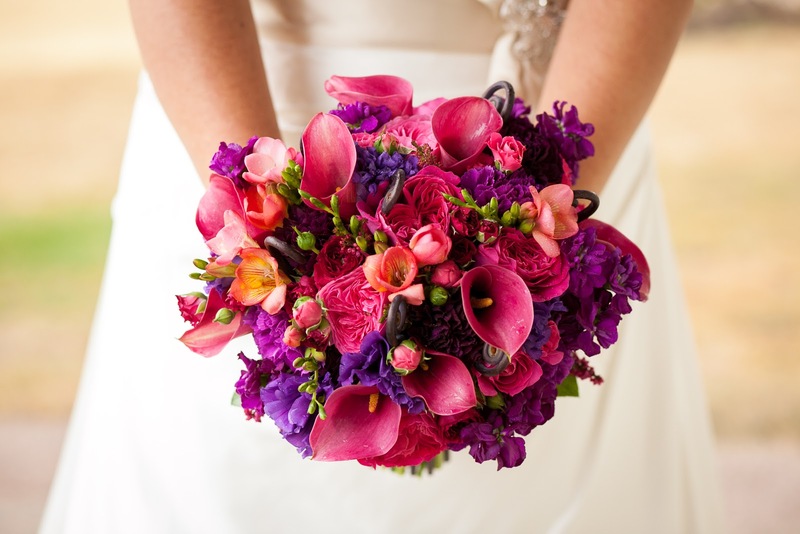 With bouquets like this, we are thrilled to share her work with you on our blog! 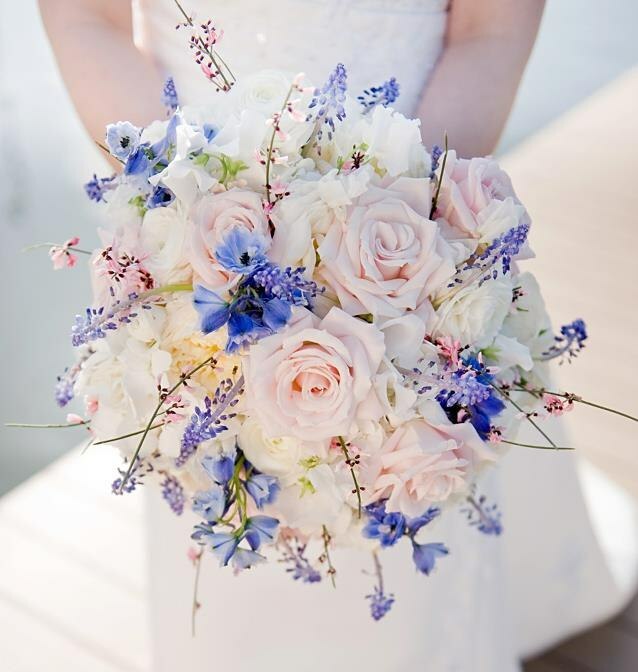 Bouquet #1 showcases blue Muscari, blue delphinium, pink genestra and blushing Akito Roses. We think you will swoon over this one! Bouquet #2...oh my! Seriously amazing!﻿ Featuring Antique Green Hydrangea, Dill, Mokara Orchids, Viburnum Berry, Burgundy Astilbe, Roses, Burgundy Dahlia and Sea Star Fern. Bouquet #3 Another stunner! 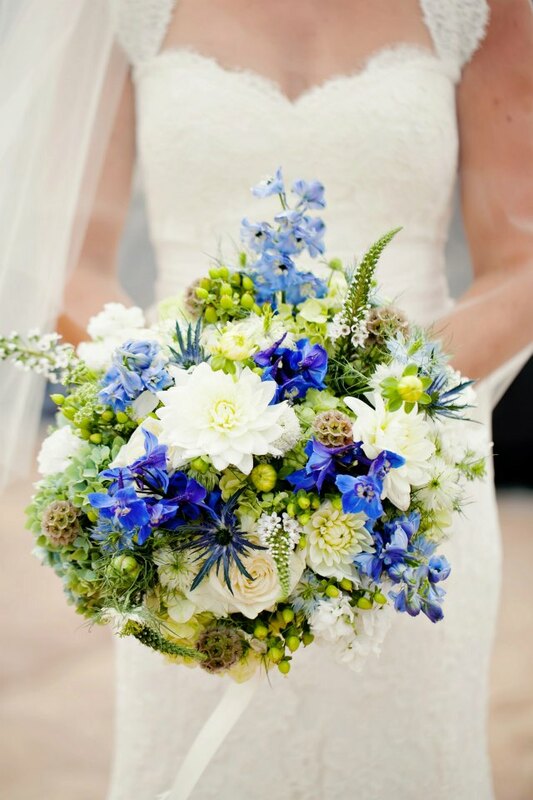 The lovely bouquet contains﻿ Green Hydrangea, Blue Delphinium, white Dahlias, Scabiosa pods, white Veronica, blue Thistle, green Hypericum, Nigella, Love in the Mist and white Roses. Such a wonderful combination! Thank you Lisa, for allowing us to adopt you and share your amazing bouquets with our readers. They now have a sense of what a progressive blog is and how fun it can be!